A company may need a lot of raw materials and goods to manufacture their product. 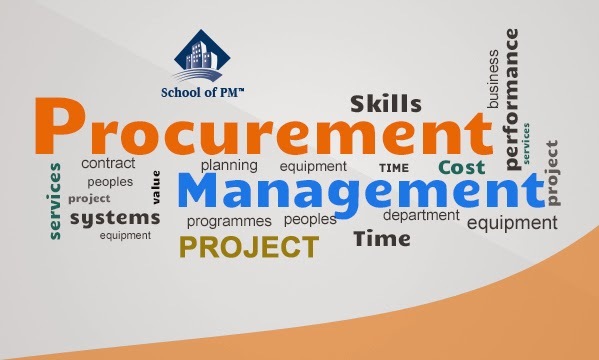 A procurement manager is in-charge of getting all the items that a company needs. The procurement may not only be in the form of goods but also in the form of property or any license. There may be several methods for procuring a product or raw material. Advertising is one of the methods. In general, advertising is the placing of an enticing description of your need or product in a newspaper, TV channel, radio, or even in a billboard. Online advertising is also very prevalent these days. Advertising is mostly paid. The idea of advertising is to reach the maximum audience who are relevant to the business. Not all procurements will need advertising. You may already have a standard set of sellers and vendors who supply you with regular goods. But there might be a new requirement for a raw material that is very rare. Or it may be a standard procedure to advertise for every product you want to buy. Then advertising is a very helpful tool. Advertisements can be text only or a combination of text and images. In online advertising, videos and images are also used. Blogs are a type of online advertising medium. A Tender is a common type of advertisement that is placed in the newspapers and other printed media for reaching out to suppliers. Several suppliers will bid for the tender. The procurement manager has to evaluate each supplier for quality, experience, dependability, price and other factors and choose one of the suppliers. While a tender is a term mostly used in government organisation, Request for Proposal (RFP) is the term used in the private sectors. Advertisement can be developed by an in-house team or can be outsourced to consultants or creative houses that specialise in advertising. The experience, cost, creativity, and other factors must be decided while determining upon who will do the advertising. Alternatively, some projects may be done in-house while other projects can be executed by external people. The choice of medium, content type, reach, and supplier choices received will determine the success of an advertisement for procurement. A procurement manager must decide the appropriate mix for every advertisement. The Project Management Body of Knowledge guide has a chapter on Project Procurement Management. In the chapter, advertising is also clearly dealt as a task accomplished by a Procurement Manager. PMP Exam Prep Course provides a bird’s eye view of this particular topic. Make-or-Buy decisions happen when the company is going in for a new product line, or is running short of suppliers, or the capacity to produce is running down. The goal maybe to reach a global benchmark in product quality. So, make-or-buy analysis is made about whether internal production or external buying will help the company reach the goal. Manufacturing companies are very often encountered with a make-or-buy dilemma, but the same holds good for companies handling soft technologies such as software and customer service too. The strategic angle is more long-term and broader than the operational angle. Factors such as competition, government regulations, core competencies, and current market scenario have an impact on the strategic make-or-buy decisions. Talking about core competencies, for example, a perfume manufacturer may buy the container, but has to make the perfume. If a company was buying all components, then it will be just assembling the components, and will not have a strong core competency. At an operational level, lower cost, better quality, untrustworthy suppliers, or even pride may be the factors that are at play. Cost cutting and cost saving is always a bottom line for Project Managers. So, invariably they will be analyzing areas, where cost and other factors come into play. Make-or-Buy analysis is one such evaluation performed by project managers. For example, say the cost of producing one component/unit internally is $45. Sometimes the same component is available from an external vendor at the rate of $35 per unit. Then in the make-or-buy analysis, the obvious choice would be to buy the product. Sometimes an item may be very difficult to manufacture or may need a lot of expertise to be created. Such items will not have a lot of suppliers. In such scenarios, it is best to make the item internally. At other times, your company’s business and customer satisfaction maybe dependent on a single component. It is not advisable to buy such components. There may be a special order and an item maybe needed only in small quantity. In such situations, instead of making the product, it is advisable to buy the product. Trade secrets and proprietary technology tilts the decision in favor of making internally. If the production capacity of a plant has not been fully utilized and the machines are idle, then a ‘make’ decision is natural. Make-or-Buy analysis will be a key feature considered during procurement. So, the analysis becomes an important part of procurement management. The PMP Exam Prep Course deals with the concept of Make-or-Buy analysis.